We love butterflies at Rockett St George - you may have noticed. 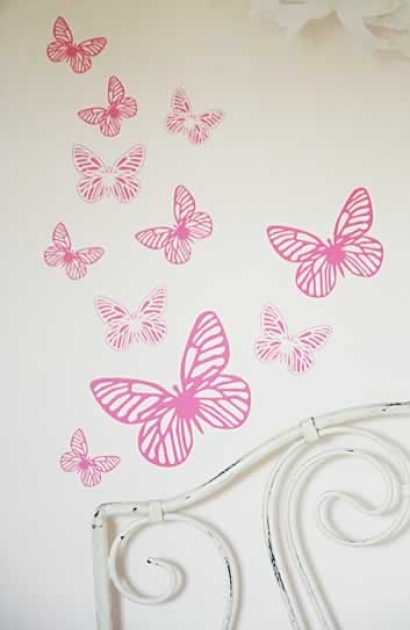 This collection of butterfly wall stickers are so pretty and really eye catching. Wall Stickers are easy to use and can transform a room. I put these above my little girls bed and she absolutely loves them. The Collection of Butterflies wall stickers are available in the following colours: Orange, Red, White, Black , Candy Pink, Gold or Silver. There are 12 butterflies included in the pack. The smallest is 55mm diameter and the largest is 110mm.